A former Colorado Medical Marijuana Center owner and professional grower explains the techniques needed to hit big numbers in your indoor grow using tried and proven deep water culture and soil techniques. The author was the second approved grower under Colorado's medical marijuana law and has grown literally thousands of plants using every imaginable technique and sorted what works from what doesn't. 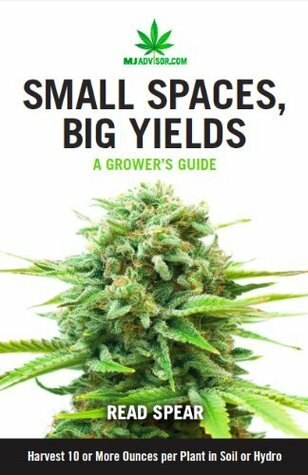 Small Spaces, Big Yields is a concise text aimed at hobbyists who already know the basics of growing marijuana, but aren't getting the results they know they could be getting. Today's indoor grower is faced with too much information, much of it simply incorrect. This is often confusing and can lead to low yields or sick plants. Small Spaces, Big Yields cuts through the fluff and gets right to the practicalities of growing huge plants at home. You have the "Bible", now learn what the pros are doing!